UPEK EikonTouch 300 is a capacitive USB 2.0 fingerprint scanner. Sensor's manufacturer specifies that EikonTouch 300 has a rugged coating that ensures longer service in heavy-use environments. The scanner is no longer manufactured. Support modules for this scanner are included in MegaMatcher 11.1 SDK, MegaMatcher On Card 11.1 SDK, VeriFinger 11.1 SDK and Free Fingerprint Verification SDK. EikonTouch 500 – a flat fingerprint reader with capacitive TCS1S touch sensor and rugged coating. EikonTouch 700 – a FIPS 201 / PIV compliant flat fingerprint reader with capacitive TCS1C touch sensor. 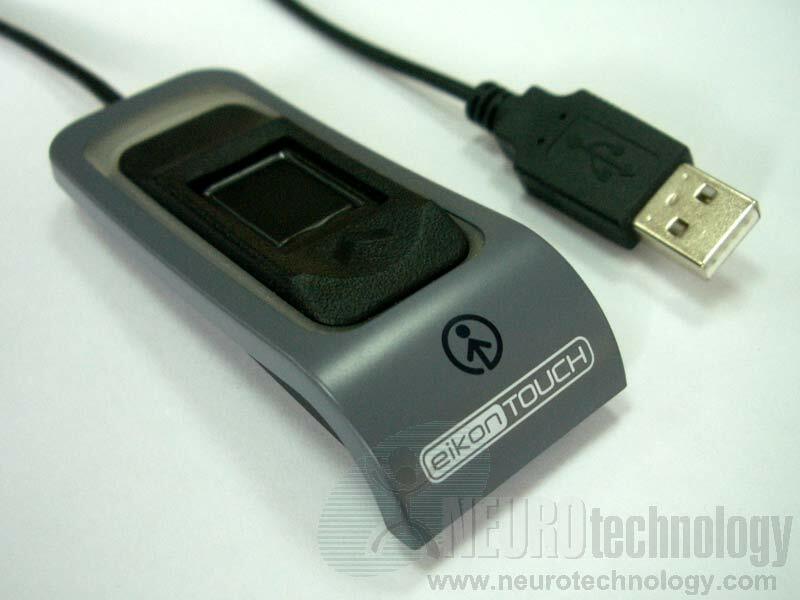 Eikon – a desktop fingerprint reader, based on TCS4C capacitive swipe sensor. Eikon Solo – a desktop fingerprint reader, based on TCS5B capacitive swipe sensor. Eikon To Go – a fingerprint reader in dongle form factor, based on TCS4C capacitive swipe sensor.